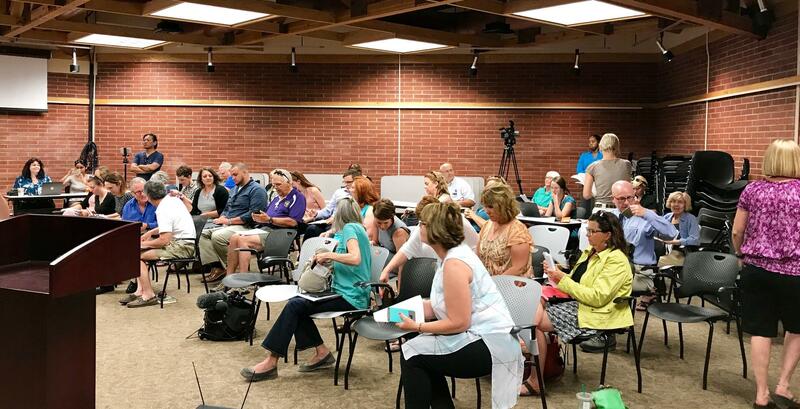 Goodnow was speaking on a panel in Helena organized by the Montana Nurses Association to discuss the bill yesterday. Panelists urged citizens to contact Montana’s Republican Senator Steve Daines to let him know they oppose a Senate health care proposal that would cut funding for Medicaid expansion and cut the federal deficit. Daines has said he wants to see the entire bill before he decides how he will vote, but he supports lower premiums, more affordable health care, coverage for pre-existing conditions and to have Medicaid serve "the most vulnerable in our society." Montana's Democratic Senator Jon Tester has said he opposes the new bill. Republicans in the U.S. Senate did not introduce or vote on their proposed Better Care Reconciliation Act before the July 4 recess because they did not have enough votes. The Congressional Budget Office estimated that it would cut the number of people with health insurance by 22 million nationally while decreasing the federal deficit by $321 billion over the next decade. Sheila Hogan, director of the Montana Department of Public Health and Human Services, said Thursday that the proposed bill would cause 133,000 Montanans to lose their health care insurance by 2022. A report released by the Montana Healthcare Foundation found that if the Senate's version of the health care bill is enacted, Montana's Medicaid program could lose $5.3 billion in federal funding. The report said more than 75,000 adults enrolled in the Medicaid expansion could lose coverage as early as 2021. "I would just ask Sen. Daines to think about the people of Montana and think less about politics and do the right thing for the people he represents," said Todd Wampler, a family practice physician at St. Peter's Hospital in Helena. "There are great things that we can do for people but you have to get them into the system first," he said.